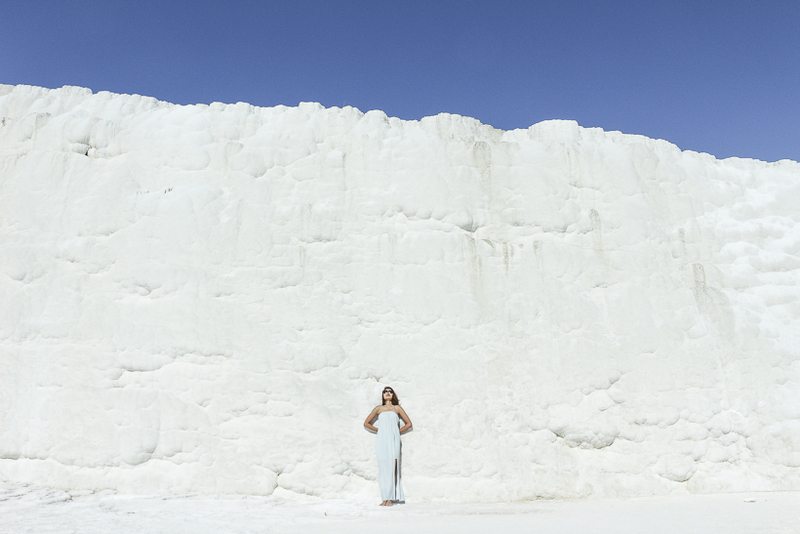 Pamukkale, meaning cotton castles in Turkish, was named as such thanks to its cascading layers of chalk, filled with pale, chalky blue waters. 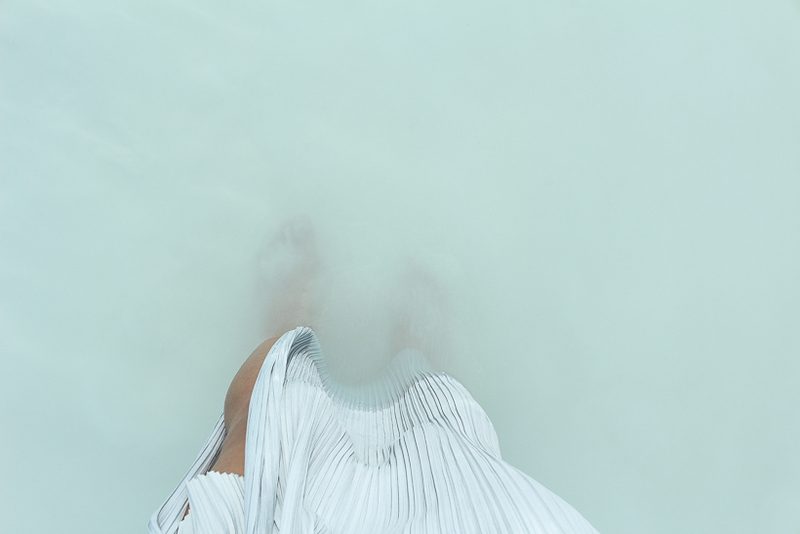 It is really a sight to behold as you see this blindingly white chalk cliffs rising in the middle of nowhere, amidst all the greenery, and in the middle of it all, a pale blue lake. Surreal. 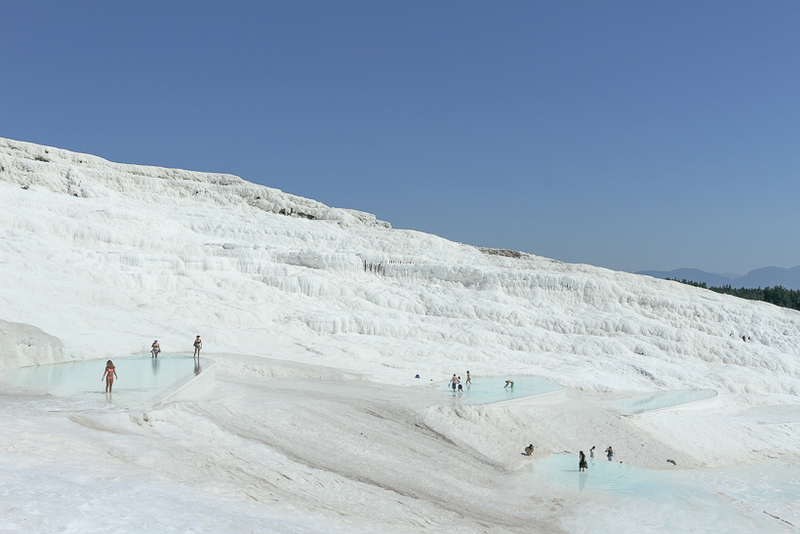 Pamukkale's layers of terraces are made of travertine, and the cliffs are eroded by the water which emerges from the hot springs at the head of the cliffs, depositing calcium carbonate (limestone) which eventually hardens. So as you walk up the cliffs, you can see multiple marks made by the water streams flowing down. Such poetry. You really have to see it for yourself - the blindingly white cliffs in the sun, which will turn golden as the sun sets. 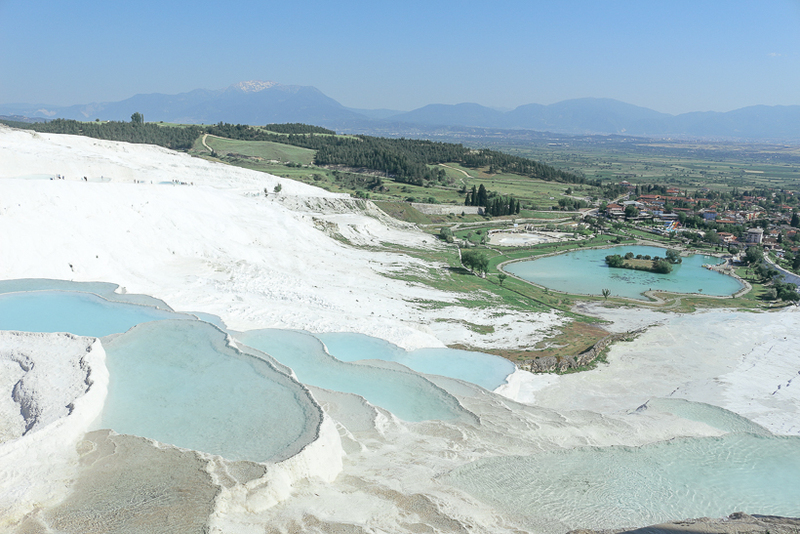 The cliffs of Pamukkale is the main tourist attraction in the area of Denizli of Turkey, with the Hierapolis atop the cliffs being a secondary attraction. 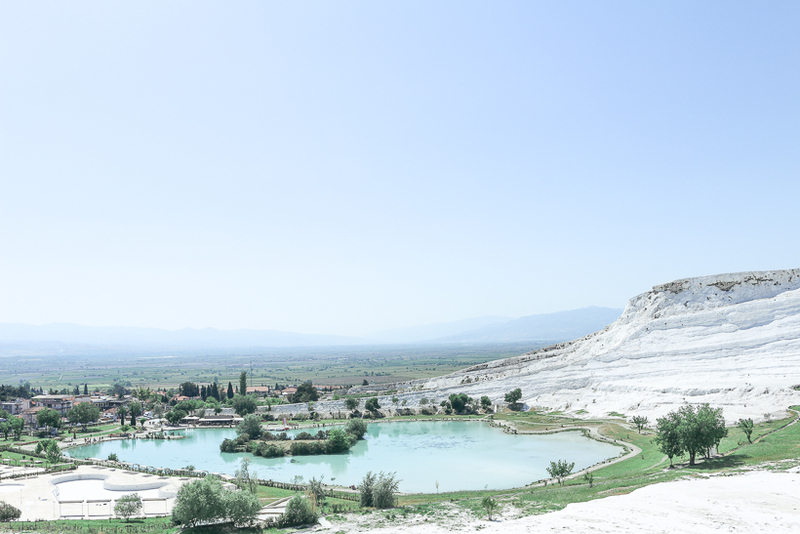 I wouldn't recommend going into Hierapolis, as you can witness much more magnificent Roman ruins in Ephesus, Selcuk. 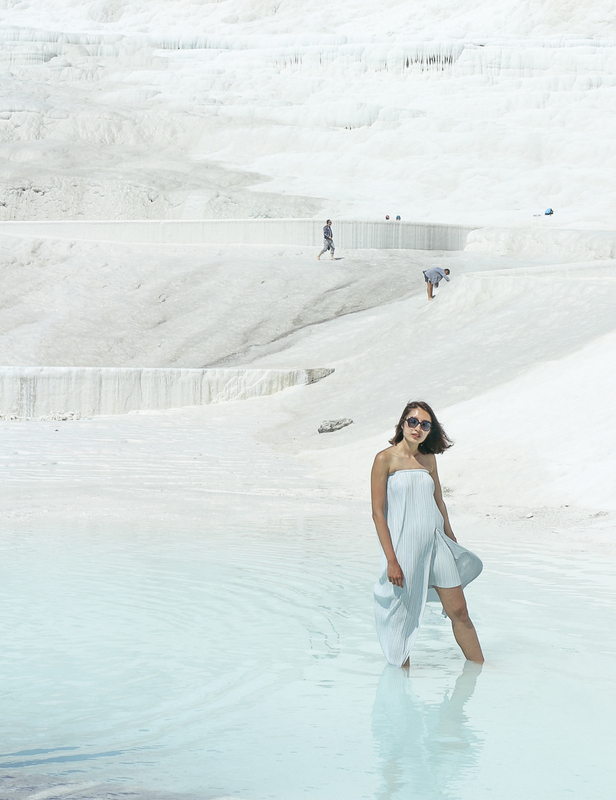 So it's safe to conclude that you can visit Pamukkale on a day trip, the whole site visit would probably take you 3-4h max to complete. But if you're feeling less adventurous, buses are a great way to travel in Turkey. A bus from Selcuk to Pamukkale takes 3h, and costs 30-35 liras. 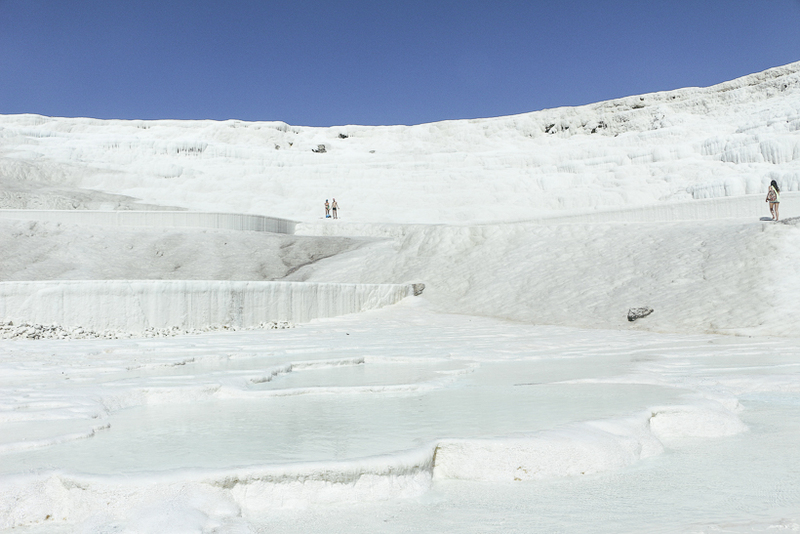 You can go into Pamukkale in the afternoon around 2pm, have a late lunch there of freshly made gozleme (Turkish pancake) and then leave for your next destination in the evening around 6 or 7pm. We caught the bus towards Goreme, Cappadocia at 710pm, and reached Goreme shivering in the wee hours of morning at 4am. Basically you bring what you would bring to a beach! Hope this guide was useful - feel free to ask me anything in the comments below.